Buffalo is a city becoming. It's been many tough decades since the city ceased to be an industrial power and its downtown was thinned out by an exodus to the suburbs, but signs of renewal are plentiful these days. That makes the city, which is about a two hour drive southwest of Toronto, an intriguing weekend travel destination. Many will remember trips to the Walden Galleria Mall and various outlets in and around Buffalo when the Canadian dollar was stronger, but for those interested in architecture, urban renewal narratives, and burgeoning food scenes, there's a host of other reasons to head down the QEW these days. 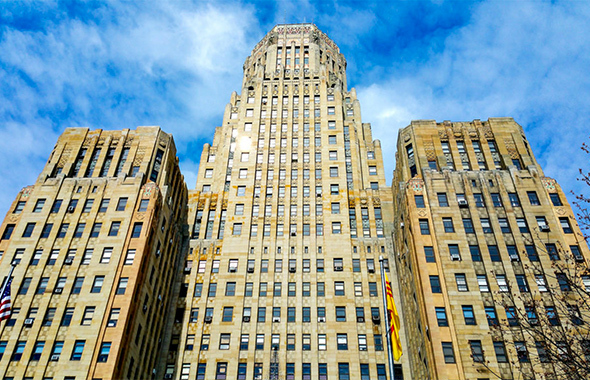 Here's how to spend 48 hours in Buffalo. If visiting Buffalo in the summer, your best bet for a hotel is the Marriott HarborCenter, which is located right beside Canalside, the city's revamped waterfront space. Built around the footprint of the old Erie Canal, the area is one of the busiest places in the city on warm weekends. There's a boardwalk, live music, bike rentals, food trucks, and weekly events here. The other option is to check out one of the city's historical boutique hotels. Two in particular stand out. The Hotel Lafayette on Washington Street is a bit like Buffalo's version of the Gladstone and Drake, complete with slick cafe in the form of Public Espresso + Coffee. For something a bit more upscale if less hip, the Mansion on Delaware is as nice as they come. 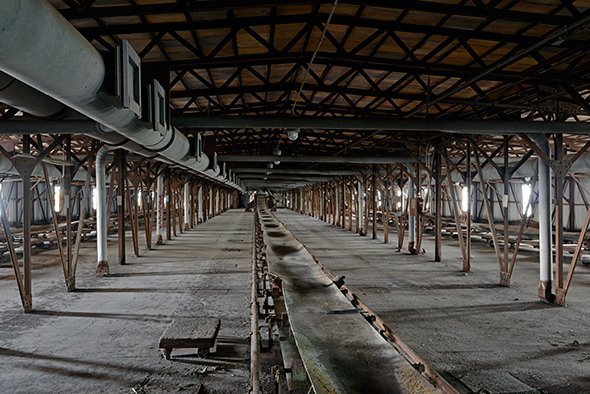 To get to know new Buffalo, it's fascinating to take a trip back in time at one of the city's most interesting cultural sites, Silo City. Formerly a massive industrial complex of grain elevators, the site is now like the Hearn Generating Station writ large, featuring regular poetry readings, flea markets, and an arts festival similar to Nuit Blanche. 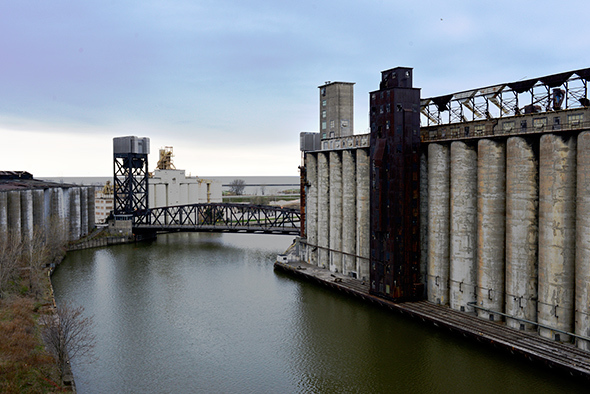 The owner of Silo City, Rick Smith, hopes to develop the site around the preserved grain elevators, but in the meantime the best way to soak up the history and potential here is to take the vertical tour, which allows visitors to climb up and around the old structures, offering stunning views of the Buffalo skyline. Ellicott Street is one of the best examples of a resurgent Buffalo. A formerly derelict downtown corridor that's now home to a host of modern restaurants, the area is bustling with diners between 6 and 10 p.m. (Buffalo folk tend to eat early). If it's a nice night, the sprawling patio at Deep South Taco has a great vibe, but for my money Seabar is still the go-to. 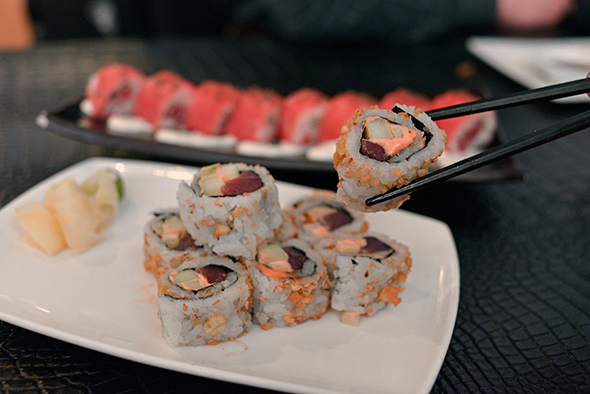 The trailblazing restaurant on the strip, Seabar put Ellicott on the city's dining map. Chef Mike Andrzejewski's menu seems confused at first with everything from classic Japanese sushi to dishes with Mexican, French, and Italian influences, but what it might do best is fusion dishes like the Beef on Weck rolls, which marries a Japanese sensibility with the Buffalo deli classic ($13). 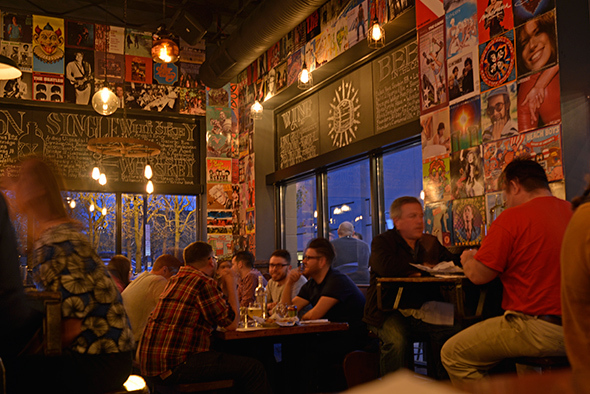 Buffalo's craft beer explosion rivals that of Toronto, fuelled at least in part by cheap rent and a collective entrepreneurial spirit. For a quick post-dinner beer head down the street to Big Ditch Brewing, a slick brewpub that opened in 2014. It's jammed here on weekends with sports fans and beer-lovers swallowing up a wide array of seasonal offerings. 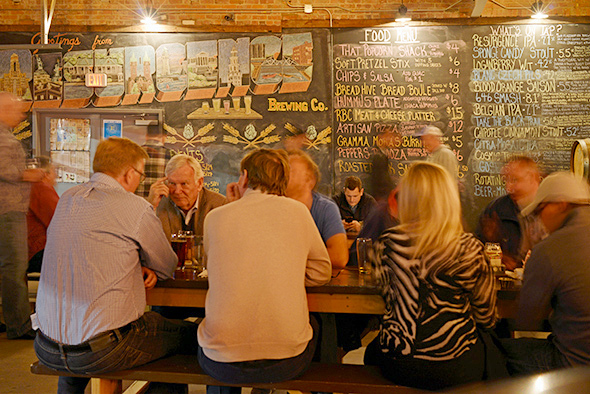 If you want to really soak up Buffalo's beer scene, however, you have to head to the still-rough-around-the-edges West Side neighbourhood, where Resurgence Brewing Company packs a crowd in its beer hall-style tasting room. There's an energy in the air here that's seeping into the surrounding area, but it's all about the beer. For something unique to Buffalo, try the sponge candy stout. One of the things that you don't get a sense of if you've only passed through Buffalo is the unique neighbourhoods that the city boasts. 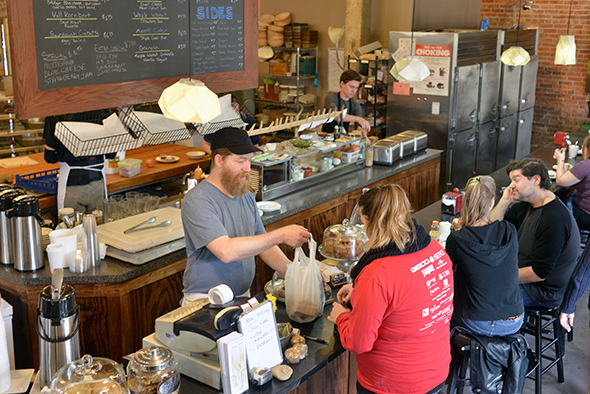 Located near Buffalo State University, Elmwood Village is a bustling retail and restaurant strip marked by weekend flea markets and an active brunch crowd. For a healthy-but-not-too-healthy option to soak up some of the beer you drank last night, head to Ashker's, which turns out breakfast staples like bacon and eggs, but also an array of sandwiches and salads. 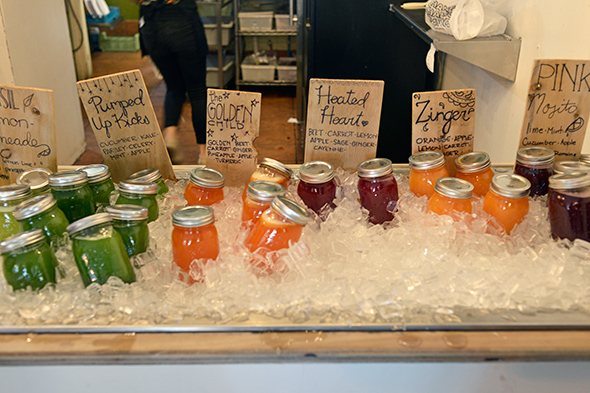 If you arrive after 11 a.m. the lineup will be out the door, but tables clear quickly and you can sip on fresh juice as you wait. Probably the most ambitious development project in Buffalo and the most tangible sign of the city's commitment to a new future, the Richardson Olmsted Complex is a $100 million restoration of an 1870s psychiatric facility that's been out of use for decades. 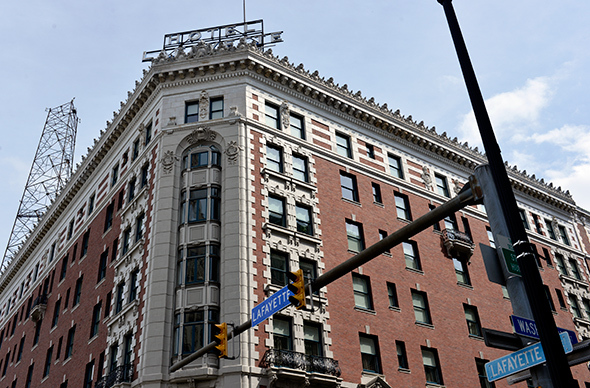 The site will eventually be home to a boutique hotel and restaurant under the name Hotel Henry, but in the meantime those interested can tour the building in the midst of its transformation. It's incredible to see the steps being taken to revitalize this Romanesque architectural masterpiece, which is just starting to take its final shape. Formerly thought of as Buffalo's Little Italy, Hertel Avenue is another of the city's streets that's undergoing a steady rebirth. It would be difficult to name all the various examples of this process, but a few stand out. On the food side, Lloyd Taco is the most obvious. Beginning as a fleet of food trucks, Lloyd opened as a bricks and mortar operation here and has been busy ever since. There's "new school" offerings like chicken and waffle tacos ($3.14 each), but for me the classic options reign supreme: braised beef, grilled chicken, slow roasted pork, and black bean (all $2.64 each). If you don't manage to eat at the restaurant, the food trucks can be spotted late night at popular bar-hopping spots like Allentown. 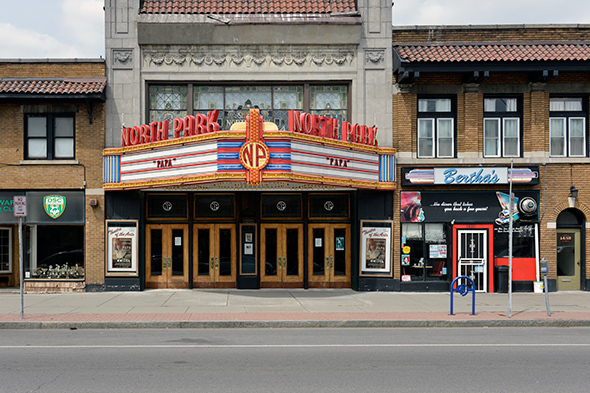 Depending on when you finish lunch, you can catch a matinee at the gorgeous North Park Theatre, which dates back to 1920 and has somehow managed to remain in continuous operation. If, on the other hand, you still have some energy left, you can shop at record shops and used book stores on the strip. 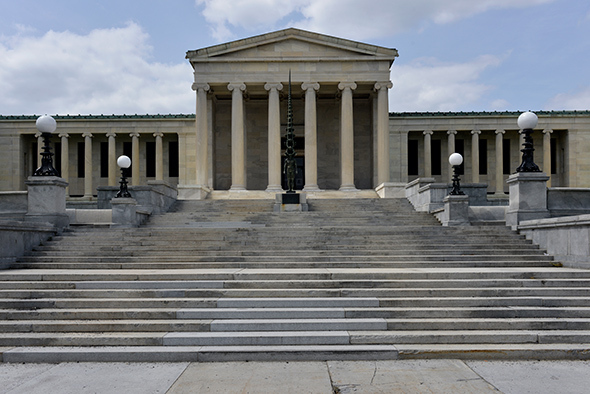 The Albright-Knox Gallery is one of those places that should be on every Buffalo itinerary. Founded in 1862, it's become one of the leading lights in the exhibition of Modern art, and boasts a collection that features pieces from Picasso, Magritte, Matisse, and Gauguin but is especially strong in post-war work from legends like Warhol, Pollock, Gorky, and Johns. For all the intrigue of the galleries, you'll want to spend some time on the grounds as well. 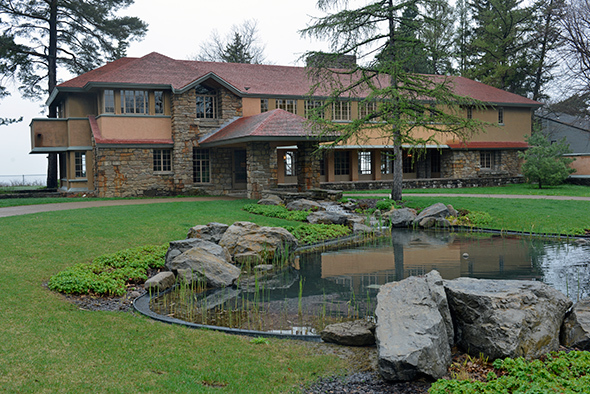 Located at the top of Elmwood Avenue, the east side of the museum overlooks Hoyt Lake, which is part of Frederick Law Olmsted's Delaware Park. 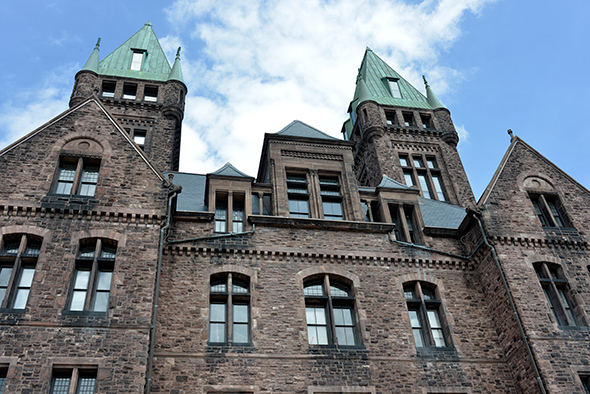 If you want to gallery hop, you can walk over to the Buffalo History Museum. 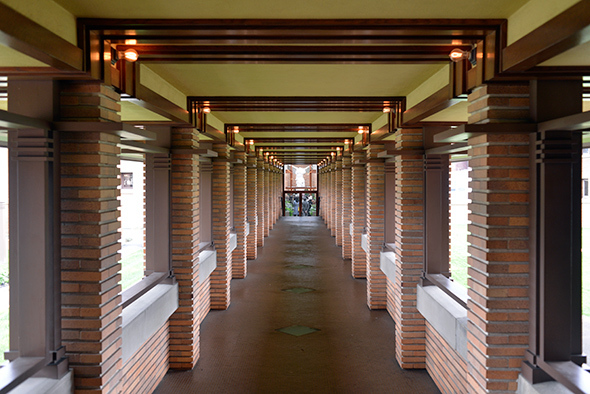 Of the reasons to pay a visit to Buffalo, architecture is chief among them, not the least because of the work that Frank Lloyd Wright did in the city thanks to his relationship with Darwin Martin, and executive at the once-powerful Larkin Company. Two stunning buildings remain from this friendship, the Darwin D. Martin House and Graycliff, the Martin's summer home. Next to Fallingwater, the Martin House is generally considered Wright's most important residential work. Much of the existing complex has been painstakingly rebuilt after the site fell into neglect years ago, but aside from the tint of the brick, it's hard to tell what's a reproduction and what's original. The house is stunning, and a testament to Wright's genius and eye for detail. After resting up for a bit, it's time to check out Allentown, one of Buffalo's busiest restaurant and bar destinations. If there's a restaurant here that's made waves among the locals of late, it's the Allen Burger Venture. This burger and bourbon spot is loud, busy, and indulgent. Expect to wait in line for at least a half and hour, but once you're seated you'll be treated to a fine burger ($15-17), particularly if you like gourmet toppings. They all start with house-formed patties made from grass-fed beef before being topped with things like Cambozola cheese, brandy peppercorn sauce, horseradish aioli, fried egg, and even peanut butter. Allentown is home to Buffalo's most vibrant nightlife scene from upscale cocktail spots to dive bars. 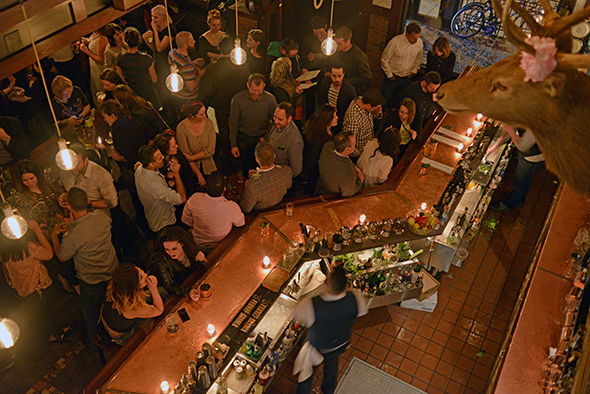 You can allow your mood to dictate where to go, but some of the must-hit spaces include Nietzsche's for live music and a generally artsy vibe, Buffalo Proper for cocktails, and to the Old Pink to wrap the night up in true Buffalo fashion. I won't tell you how late to stay out, but it's definitely worth knowing that last call in Buffalo is 4 a.m. If you head to the Old Pink at midnight, for instance, the place will be dead. Your best bet is to bar-hop as long as you can before having your last tipple there. Other spots to hit along the way include Pausa Art House, The Savoy (for Moscow Mules), and Allen Street Hardware. You'll want to sleep in a bit after taking advantage of Buffalo's lax last call, but there's more exploring to do. Skip the greasy breakfast and check out one of Buffalo's unique businesses in the form of Five Points Bakery. Opened in 2009, this Lower West Side bakery and toast cafe was a pioneer in Buffalo's stubborn resurgence. This neighbourhood is just starting to revitalize, but the bakery is still bustling on weekend mornings as people pop in to grab bread and other baked goods while others relax with various toast dishes in the wood-strewn building. There's an obvious DIY vibe here that's representative of Buffalo as a whole right now, and the toast is top notch too (order the cinnamon swirl, $6.95). You've seen Darwin Martin's main house, now it's time to see the summer resort. Graycliff (built between 1926-1931) was almost sold to a condo developer a few years ago, but preservationists managed to save the estate and have been slowly working to restore it to its former beauty. Wright's work is again masterful here, and you'll want to spend a while just walking the grounds and enjoying the view of Lake Erie. You don't need to be an architecture buff to appreciate how serene it all is. There's still restoration work to be done, but it's easy to see why this place is sometimes called "the jewel on the lake." Keep your energy up with a visit to one of Buffalo's nicest indie coffee shops. 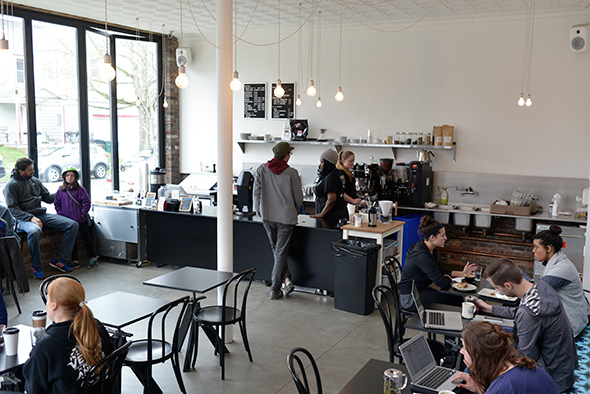 Tipico feels like it might be located on a neighbourhood side street in Toronto with its minimalist decor, excellent espresso (Detour beans will be familiar to patrons of Dark Horse here at home), and the constant presence of people typing away on Macbooks. 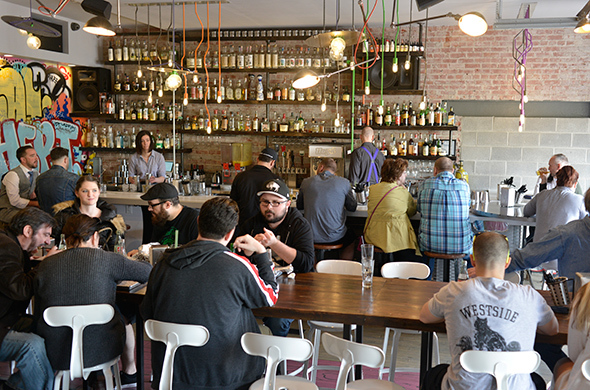 Buffalo's coffee scene isn't as advanced as its beer scene, but places like Tipico are likely to change that. Opened in 2015, it's set the bar for future coffee shops in the city not just via the quality of its beans, but in creating a space that feels at once like a neighbourhood hub and a bonafide destination. All this time spent exploring Buffalo's re-born neighbourhoods has kept us away from the city's core for much of the trip. Before leaving, walk down Niagara Street towards the city's majestic Art Deco City Hall. If you happen to visit during the week, you can visit the observation deck for a spectacular view or continue on to see gems like the Liberty (1925) and Guaranty (1896) buildings. 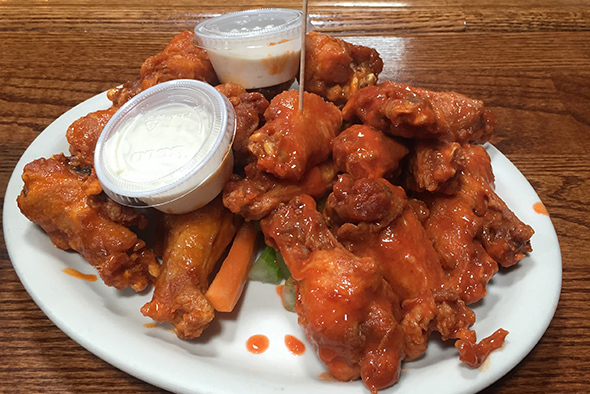 Come on, you can't go to Buffalo without trying the wings! Instead of filling up on crappy food on the road, swing by Gabriel's Gate for your last genuinely Buffalo experience of the trip. People will swear by the versions served at Duff's and Anchor Bar, but this place has more character and possibly better wings than both. They're big, saucy, and wonderfully crispy ($10.95 for a single). Do you know Buffalo well? Add your must-see travel suggestions in the comments. This trip was subsidized by Visit Buffalo Niagara. Photos by Derek Flack save for the lead (by Don Nieman), Buffalo City Hall (by John Borsa), and the wings at Gabriel's Gate (courtesy Visit Buffalo Niagara).